"Ageing population: goal-based investing and its application to the retirement problem" - with Professor Lionel Martellini. 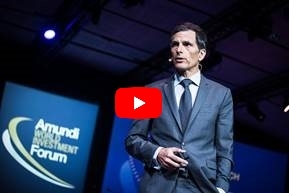 He gave a keynote speech on the subject of flexicure retirement solutions at the Amundi World Investment Forum in Paris on 29 June, 2018, and examined the following issues: The problem: Looming Pension Crisis / The Landscape: Retirement Products / The Solution: Flexicure Retirement Solutions. "The Pensions Crisis and Flexicure Retirement Solution". 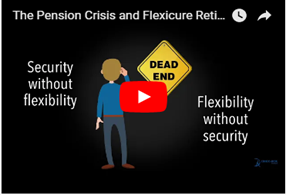 Academic research calls for more innovation and the launch of novel forms of retirement investment solutions, which can be regarded as flexicure retirement solutions since they combine the security of annuity products (which lack flexibility) and the flexibility of target date fund products (which lack security). Learn more in video by subscribing to our YouTube channel. EDHEC-Risk Institute has been cited widely in the business and industry press. A selection of articles may be found below. Part of EDHEC Business School and established in 2001, EDHEC-Risk Institute has become the premier academic centre for industry-relevant financial research. 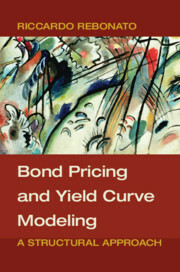 In partnership with large financial institutions, its team of permanent professors, engineers, and support staff, and research associates and affiliate professors, implements seven research programmes and six research, industrial partnerships and private research projects focusing on asset allocation and risk management. Additionally, it has developed an ambitious portfolio of research and educational initiatives in the domain of investment solutions for institutional and individual investors. As part of its "Make an Impact" signature, EDHEC-Risk plays a noted role in furthering applied financial research and systematically highlighting its practical uses. You have received this e-mail as a financial professional listed in our database, or because you have agreed to receive communications from us. * If you no longer wish to receive information from EDHEC-Risk Institute, please reply here. * If you wish to update your contact details, please reply here, providing the necessary information. To ensure that you continue to receive e-mails from EDHEC-Risk Institute, please add our organisation to your "Safe Senders" list.